I have a myriad of reasons for writing my blog week in and week out. One of them is that it can serve as a quasi-diary of my life so that I have something I can turn to remember what was happening in my life and when. It’s particularly helpful in cataloging some of my travels. With this in mind, this week falls into the travel diary catalog. I’ve had the great fortune of being able to travel to many fabulous places, not only in the United States but around the world. One of the great cities that I have been wanting to go to for a long time but I have not had the opportunity in Charleston, South Carolina. I’ve heard from so many people that it is such a quaint, charming, and beautiful city that it is a must see. Over the last couple of years, I have been keeping my eye out for opportunities to be able to go to Charleston. And one finally materialized. I was in a meeting in Dallas last week and since Dallas is a major international and domestic hub, it’s relatively easy to get to other cities from there. Bob Weir of the Grateful Dead has a side project called Bob Weir and Wolf Brothers. 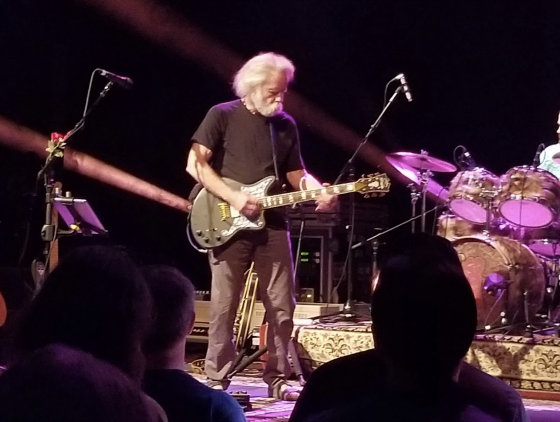 It is a three-piece band that for the first time showcases Weir’s lead guitar skills as he has been a very capable rhythm guitar player in the bands that he’s been part of but clearly overshadowed by amazing guitar players like Jerry Garcia and John Mayer, just to name a few. I was looking at the tour schedule for the band and, lo and behold, the last stop on the tour was Charleston, South Carolina. I told myself that fortune favors the bold so I went into action. I hopped online and saw that tickets were available. With this knowledge, I could proceed to checking out flight options. I was able to secure a great seat for the show and airline tickets. And despite my excitement about leaving from Dallas, I could not find a non-stop flight to Charleston. Oh well. I had to fly through Charlotte. The meeting ended in Dallas and it was off to Charleston. 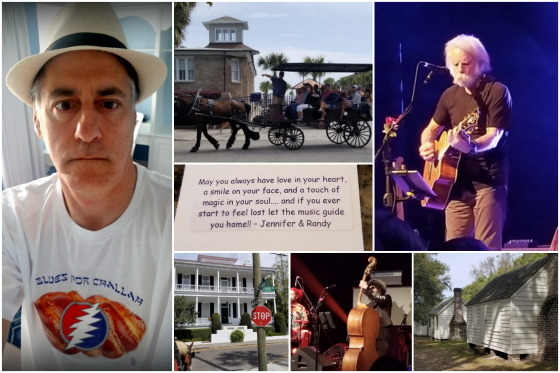 Of course, the flight to Charlotte was significantly delayed such that I was going to miss my connection to Charleston. This meant that I would either have to stay overnight or rent a car and drive three and a half hours to Charleston and get there at about 1:30 in the morning. Neither sounded too appealing so I looked for other options. I was able to get on another flight that took me through Miami that left me with a comfortable amount of time to be able to switch to my connecting flight to Charleston. And of course, all of the best-laid plans go awry as my inbound flight was significantly delayed and the connection was highly at risk of being missed. I landed at gate D1 and fortunately I was able to get off the plane very quickly to get to the tram to take me to the very distant E terminal. Unfortunately, the connecting tram service to terminal E was not working so I had to walk all of the way through terminal D and almost all the way through terminal E to make my connecting flight. I was going to soon find out how strong my back was as well as my endurance. Fortunately, both passed the test. Staying in shape is akin to having a savings account as one never knows when one is going to need to draw on it. I definitely needed to make a withdrawal in order to make my connecting flight. 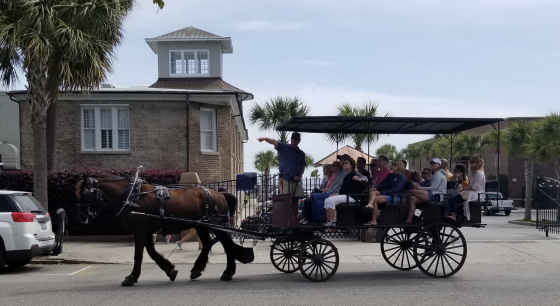 I rented a car, which I’m glad I did because it enabled me to have a lot of flexibility and the freedom to check different things out in Charleston. I took a walk on the beach on Sullivan’s Island and was very impressed by the beautiful homes there and the very wide, expansive beach. 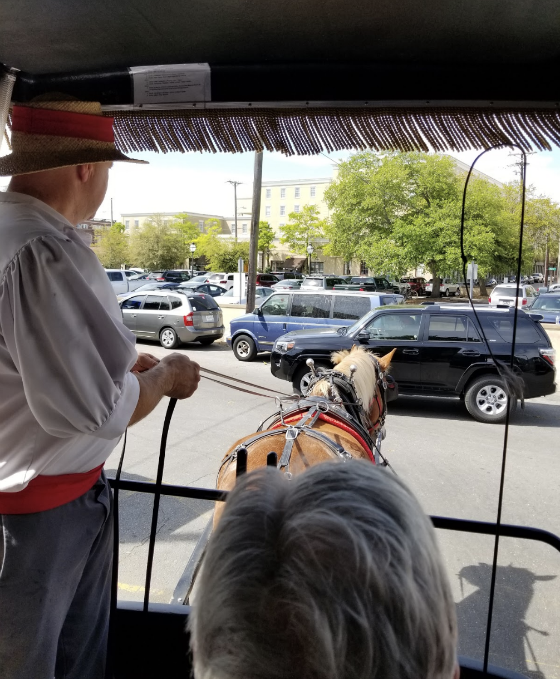 I took a carriage ride of the city with a tour guide who was quite excellent. He asked me where I was from and I told him California and we started drilling down on where and it turned out that he dated a woman that graduated from the same high school my son went to. A small world indeed! The carriage driver told us he had seven teenage boys, which definitely surprised me. I can only imagine how costly it must be to raise and educate them. The tour guide was quite knowledgeable and it really reinforced the power of mastery and that no matter what you do, you can always drill down more deeply and learn more about your craft. It also helps that he is highly incentivized to do a good job since most of his compensation comes from tips. As he was conducting the tour he was talking about additional personal research he was doing about certain times and letters that people wrote and diaries that people kept. It really made the trip much more interesting and I was happy to give him a generous tip because I always admire people who love their craft, communicate what they do enthusiastically and with respect, and hope that the people will gain something from the experience. 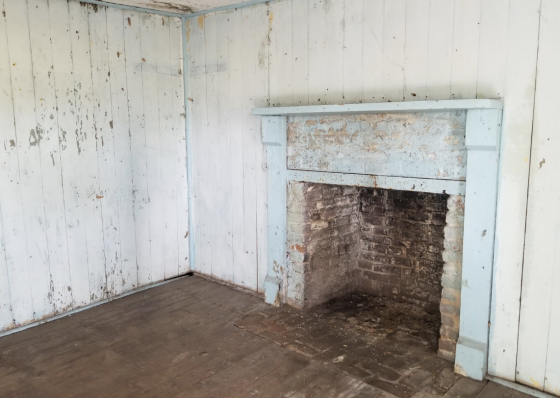 One of my most interesting visits was to a plantation. 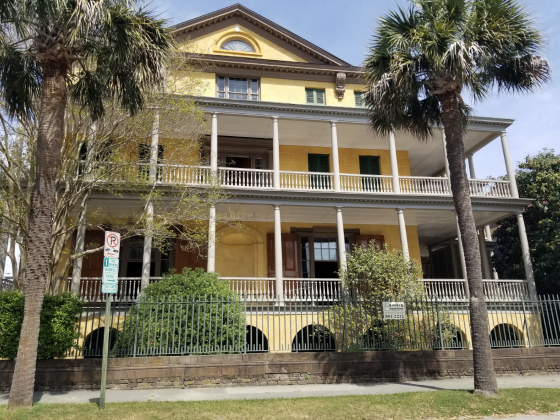 It was a fascinating experience and one that I strongly encourage you to do because it is so integral to the history and culture of Charleston, as well as for our nation’s history. It’s also interesting to hear about the southern perspective as history tends to be written by the winners. It was also quite sobering to hear about the awful conditions the slaves had to work and live under and the inhumanity that was carried out purely for economic reasons. They were looked upon as assets to be exploited to get the most value out of and then to be discarded when they no longer could generate an acceptable return on investment. Here too the tour guide was excellent. She also talked about the research she was doing on her own to have a better understanding of the times. Her knowledge and obsessive interest in the subject matter were clearly and enthusiastically conveyed. 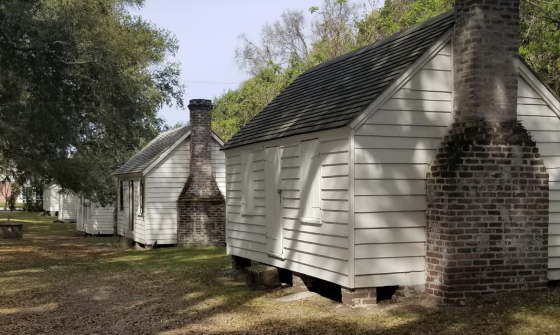 These shacks would hold up to 10 slaves and sharecroppers and continued to be rented out up until 1990. 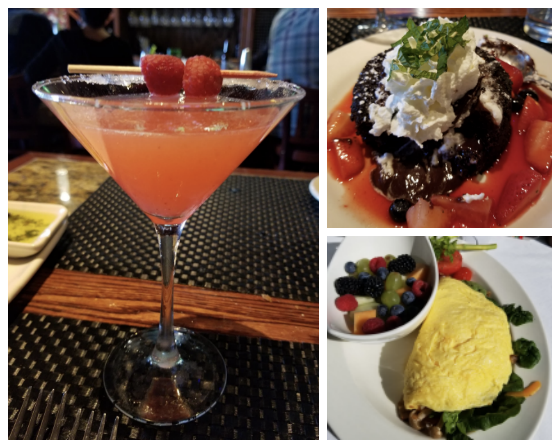 The food (and drinks) in Charleston is fantastic. What follows are a few pictures of some delicious items that I had the great pleasure of indulging in. Now it was time for the show. 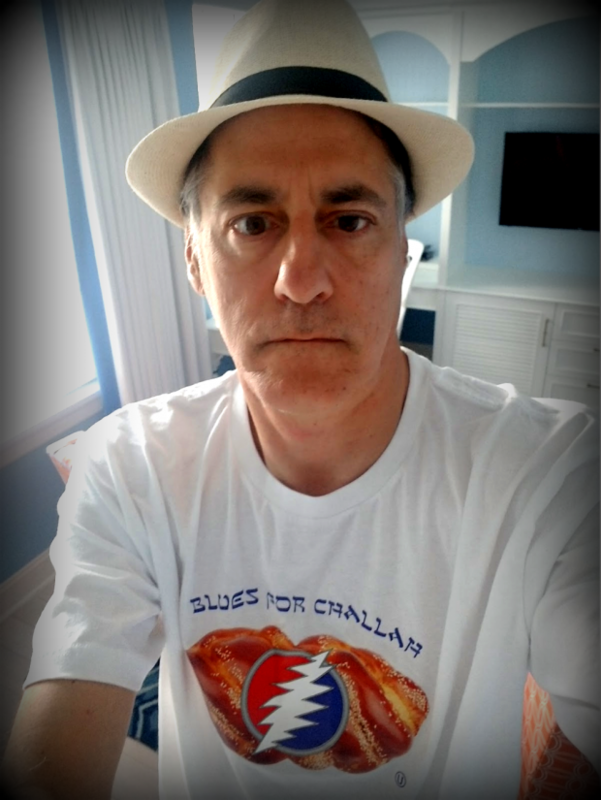 I felt like I had to dress a bit like a southern Deadhead gentleman so here is my shot at trying to pull that off. Close-ups can be rough. I grabbed a bite to eat. I was sitting in a communal table at a restaurant near the performing arts center as that was the only seating available. The restaurant was very crowded with patrons going to the show and a hockey game in the same center across the street. A woman came up to me and left the following note. 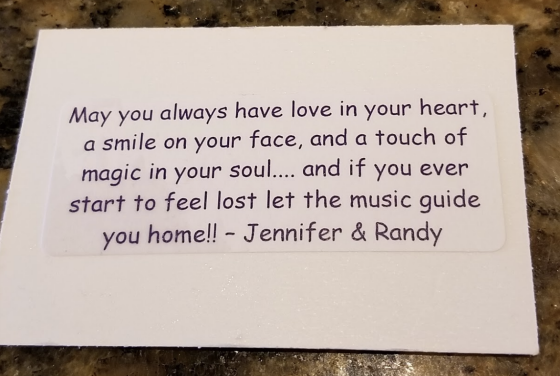 I was a little perplexed at first and then I read the note and I was quite touched. She accomplished her goal of spreading positive vibes as I was definitely uplifted. I had great seats. 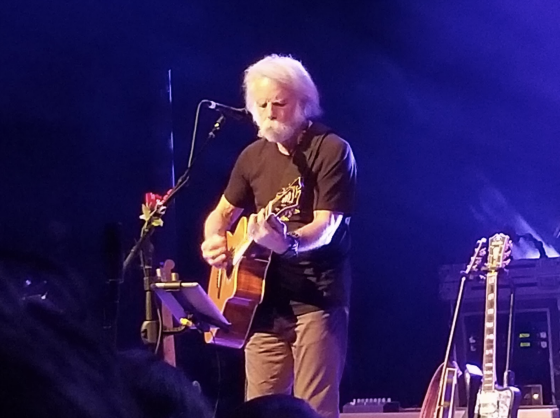 I was very impressed by Weir’s guitar playing. 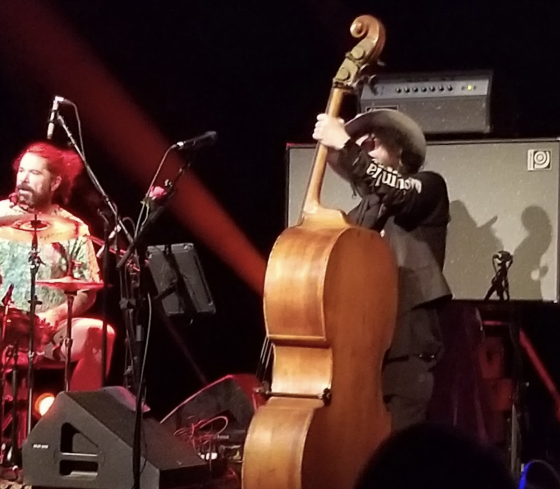 Weir’s bass player is Don Was, who is just the coolest looking dude you can imagine and he just oozes cool as the following picture depicts. He is an extremely talented bass player, a prolific and highly successful producer, music director and consultant for numerous films, as well as a very sharp businessman as evidenced by his successful tenure as president of Blue Note Records. I strongly recommend that you read his Wikipedia biography as he is another example of mastery at work. He is someone that has gone deep into his craft and has made the world a better place for it. I highly recommend that you visit Charleston. 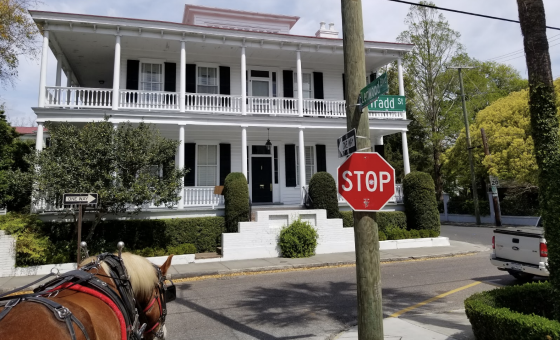 It is such a pretty, charming, and historic city that played such a pivotal part in the southern economy and during the Civil War. The people are wonderful and inviting, the city is beautiful, and the history is fascinating. I look forward to returning there. Gary – I enjoy your blogs very much, specifically, how you always seem to find a way to tie music to life. I think the same way and I look forward to your postings. I am an investor with CWS, although a small one, and also a native of Charleston, SC. Anytime you want to visit again, please let me know. You may know my in-laws, George and Linda Green, whom I am grateful for on many levels, one of which was my introduction to you and your writings. Dont forget to tour the WWII carrier Yorktown. First Yorktown sunk during battle of Midway; this ship named a year or so afterwards to commemorate the loss.